Aakash was Established with an aim to assist students to realize their dreams, it helps them in the preparation of Medical and Engineering Entrance Exams. As of March 31, 2019, having a pan India presence of about 170 classroom centers (including franchise centers), the institute is known for strong brand recognition and producing results year after year in the Medical and Engineering entrance examinations. 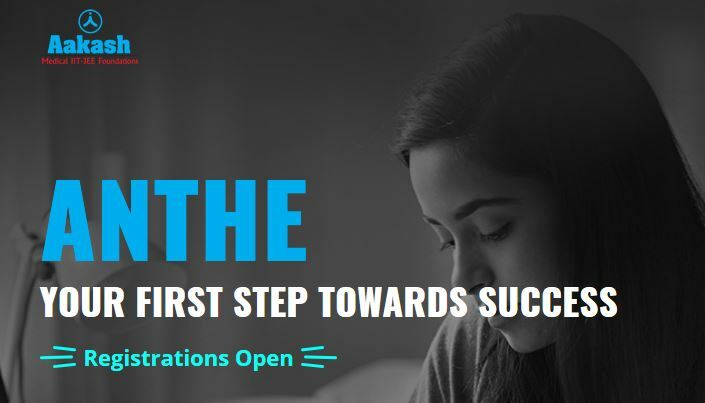 The institute functions under the aegis of Aakash Educational Services Limited (AESL) and has three brands – Aakash Institute for Medical Entrance preparation, Aakash IIT-JEE for Engineering Entrance preparation and Aakash Foundations for Olympiads and Scholarship exams like NTSE, NSEs etc. & School plus Board Examinations at the school level. Every Year, Aakash is conducting the Aakash National Talent Hunt Exam (ANTHE) for Class VIII, IX & X studying students. This examination aims to help students to achieve their goals by providing them the scholarship and take the First Step in an endeavor to become Engineers or Doctors. The examination will be held at various centres spread across the country. Exam Pattern is very important for any exam to prepare for the Exam. Aakash Anthe Scholarship Exam is very popular Talent Test in India. Here careers99 is providing Exam Pattern for Aakash Anthe Scholarship Exam 2018. There is no negative marking for the Exam. The Exam consists of 90 Questions with 360 Marks. Syllabus for Aakash Anthe is given below in careers99.com. The Syllabus normally consists of Physics, Chemistry, Biology, Maths Subjects as well as Mental Ability. Following Table shows you the Stllabus for Aakash Anthe Scholarship Exam 2018. Chemistry Matter in our Surroundings, Is Matter Around Us Pure? Aakash Anthe Previous and Sample Papers Aakash sample papers for class 8 and Aakash weekly test question papers can be found below. These are pdf Download of Aakash Anthe Sample Papers.